Securing your company’s networking and compute infrastructure is critical, given the ever-increasing threats to data and resources. Cyber-attacks range from stealing an organization’s intellectual property, to creating and distributing viruses, using web-based attacks, malware, denial of service attacks, malicious code, and even stolen devices. Download the white paper now. 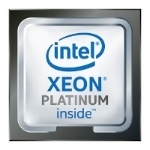 HPE Gen10 Servers powers by Intel Xeon Scalable processors. Intel Inside. Power Productivity Outside.